See how our clients produce outstanding results. Discover the difference an EMyth Coach can make. Read the first chapter of the book that started it all. Browse our free business development resources. Read our blog and become an amazing business owner. Mike Robirds began EMyth Coaching for his company, Accu-Bore Directional Drilling, in 2014. When a lack of systems was stagnating growth, Mike knew he needed to build more structure into his business if it was going to survive. 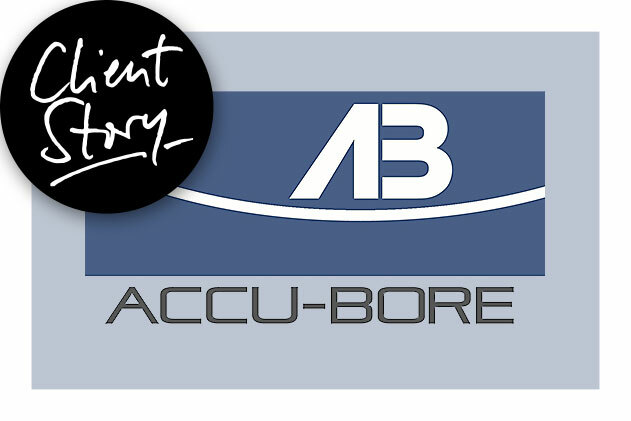 Together with his partner and his EMyth Coach, he found the vision and values needed to structure Accu-Bore for the future. My business partner, Billy Kilmer, started Accu-Bore Directional Drilling in 2006. I joined him four years later as a business partner and friend. We started the company under several different premises, specializing in directional drilling with a component of engineering and design. We could see the opportunity to create a great business and knew we had the potential and drive to get there—but we lacked the fundamentals to run a business that could keep up with its own demand. For many years, we were spinning. Our people system was completely unstable: We didn’t have any sort of chain of command, roles, responsibilities, or anything to hold employees (or ourselves) accountable. I knew that for us to be sustainable, I couldn’t be the only guy to do design work. There couldn’t only be one guy doing estimates, and only one reaching out to clients. We didn’t have a handle on what each employee’s job really was. What was their role in operations? How should they engage with clients? It felt more like crisis management than project management. It was hectic. Our lack of systems was burning us out. We knew that if we didn’t focus on systematizing our business, we weren’t going to be able to grow at the rate we desired. The EMyth program gave us the structure and substance we needed to run and grow our business. We’re incredibly passionate about our work; we have a lot of drive, but up until now we haven’t had a long-term vision or mission around what we’re trying to accomplish. That was the first thing that we set out to create. We said, “Hey, we’re going to be the best utility provider on the West Coast and we’re going to do it with these ten core values. We’re going to live with these ten core values and build systems that relate to those values.” It was all about developing and refining a vision everyone could get on board with. We’re seeing how important these values are. I’m a disabled veteran, so we’ve developed this component of our business that stems from my military experience. In the military, the camaraderie with those around you is essential and incredible, so we’ve brought that type of camaraderie into our business—all based on our passion for doing the right thing. We’re empowering our employees, doing things with integrity, and giving back to the local community. The EMyth Coaching program has really allowed us to have the right perspective on our growth and the type of opportunities we pursue. We’ve also learned the importance of maintaining a work–life balance. We’re okay saying, “Go take a vacation,” or, “I’m leaving early on Friday to play with my kids.” Billy and I have young families, and it’s important to us that our employees are also taking the time they need. We want to treat everyone in our business like family; we want to do things differently. We could work 100 hours a week and make record profits, but it’s not worth it if it means losing time with family and friends. I feel much better about Accu-Bore today than I did a year ago. We’re making decisions based on the right framework, unlike before when we were going by our gut. Now we have parameters, key strategic indicators, and we know how we want to transform our business for the future. Learn more about Mike Robirds and Accu-Bore. We share stories from our clients, coaches and team members on how to build a business that serves your life. Our posts will give you updates on our latest features, business insights and free educational content. Welcome to the EMyth Blog: practical tools and new ideas to grow your small business. Practical resources. No spam ever. Copyright © 2019 E-Myth Worldwide, Inc. All rights reserved. EMyth and E-Myth are trademarks of E-Myth Worldwide, Inc. EMyth is registered with the U.S. Patent and Trademark Office.